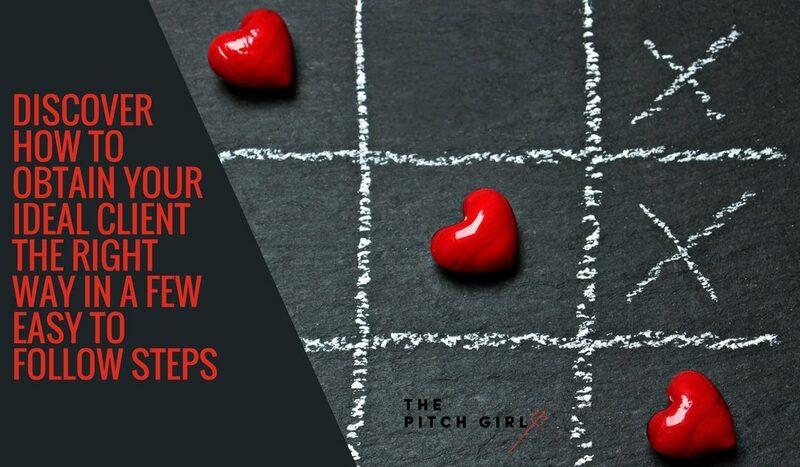 First, you need to really know and understand WHO your ideal client is. Base your ideal client avatar on a REAL person that you know in real life. The problem when you don’t really know your ideal client is that you’ll make assumptions that aren’t true. Yes, rock stars make a lot of money, but if that’s why you want to sell to them, you may be extremely disappointed, because they also get a TON of stuff for FREE. So, they may NOT be your ideal client if you are looking for them to purchase from you. Also, getting through to a rock star can be a challenge, since they employ gatekeepers and assistants to shield them from the general public. If you get stuck, choose one of your current clients who is the closest to an ideal client that you have at this moment. You can always change/tweak and re-define your ideal client. Now, that you have based your ideal client on an actual person, it’s easier to answer these questions. 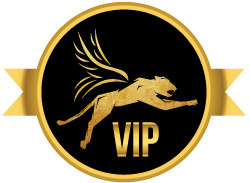 My ideal client is a motivated entrepreneur who is looking to increase sales for their business and visibility for themselves as a leader in the community. She likes to attend high-quality conferences and networking events. She is not afraid to invest in her business and herself. She has a GREAT sense of humor and is able to execute quickly. She’s able to “feel the fear and do it anyway.” She is empathetic and passionate about what she does and is sometimes in danger of working too hard and getting burned out. She enjoys binge-watching excellent TV shows (or films) on Netflix or Amazon during her downtime. She is willing to take calculated risks in order to Up level her business and her life. Her family and friends are VERY important to her. My ideal client prioritizes high-quality experiences over gathering a lot of physical things. 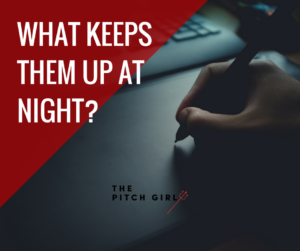 What keeps her up at night is fear of not doing enough and fear of missing out on opportunities by trying to do too many things all at once. (My clients are men and women, but it was just easier to say SHE instead of She/he.) My ideal clients are on Facebook and LinkedIn, so I can find them on either of these platforms and strike up a conversation. Where do your ideal clients hang out? 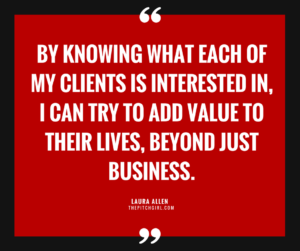 Become CURIOUS about the non-business interests of Your Ideal Client. For example, here are some of the interests of several of my ideal clients. By taking the time to get to know what my clients, (and potential clients) are interested in, I am investing in a long-term relationship and letting them know that we have things in common beyond just trying to increase sales and visibility. One word of caution, you do have to genuinely care about the things that you say you care about, otherwise, it will come off as sleazy and spammy. We’ve all had sales people try to forge connections that weren’t really there and it’s painful. All things considered, most people would rather hire someone that they know, like and trust. Make sure your ideal client knows, likes and trusts you, by taking an interest in some of the non-businessy things that they do. This approach will be more fun for them and for you!